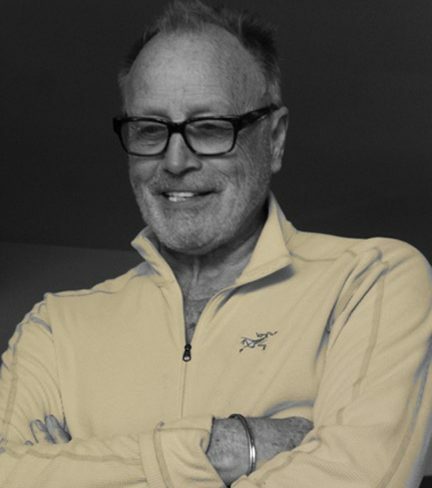 Alan Roderick Jones is a production designer and artist whose work spans five decades across multiple industries. He is the recipient of numerous awards in production design, including 6 Cleo Awards, the Silver Lion at Cannes, and the New York Advertising Award for Excellence in art direction. Alan began his career in 1962 as a draftsman in the art department of the British Film Industry, enjoying the mentorship of some of the leading art directors of the day. He quickly worked his way from draftsman to art director, and eventually production designer. His early work includes 26 features – two of which, “Star Wars” and “Nicolas & Alexandra,” garnered Academy Awards for art direction. In production design, Alan is best known for placing a high premium on achieving cinematic quality production values, regardless of budgetary constraints. From modest undertakings to big budget, effects-driven pieces, Alan has worked with renowned directors and cinematographers to conceptualize everything from the visual look of a production to designing sets and environments that allow optimum nuance for lighting. This is best seen in his commercial work for every major corporate client across every industry (seriously – too many to list). Alan enjoys exploring new mediums and availing himself to unique challenges. He completed designing the interactive game environments of “The Lord Of The Rings”, “Van Helsing”, “Dirty Harry”, and “Hulk 2” for Universal Vivendi Interactive Division; and “Land of Legends” for Warner Interactive. As an artist, Alan is known in the architectural community for design of exclusive private residences and hotel interiors across the globe – most notably, the Mandarin in Hong Kong and the Sheratons in Cairo and Bangkok. His works of fine art reside in the prestigious collections of international collectors and continue to be exhibited in galleries across the country.